Golden Globe Predictions. 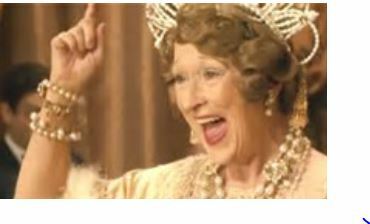 “Florence Foster Jenkins”s Men Could Surprise. 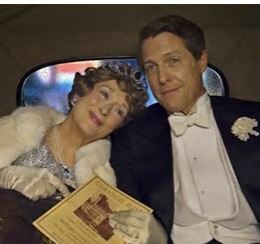 Yes, I can’t believe I’m typing this, but as I look at this year’s Golden Globe nominations, the one film that everyone is underestimating is “Florence Foster Jenkins.” And I think it is the men that might surprise and not the astounding Meryl Streep. She plays Florence, of course, and gives ANOTHER career-best performance as she ALWAYS does of the society grande dame who thought she could sing opera. This was a real rich woman who lived in this delusion in the 1940s until reality came crashing down around her ears when she finally played the Big Time. At Carnegie Hall, reality slapped her in the face like a wet gefilte fish. True story. And so beautifully rendered by La Streep and her ace British director Stephen Frears. It seems like a total fiction, but it’s true. 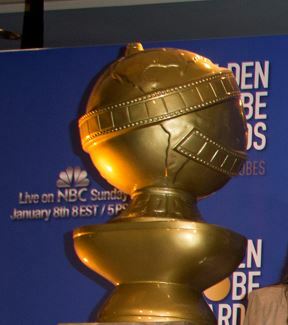 And SUCH a Golden Globe kind of film. But no, I don’t think it’s Meryl beating front-runner Emma Stone in “La La Land”, it’s the two men in her film, and in this film that might break through in the Best Actor in a Comedy/Musical category. That’s Hugh Grant playing her devoted “husband”/companion/manager, the failed actor St.Clair Bayfield who I could see surprising(and it really would be a surprise!) in the Best Actor Comedy/Musical category. 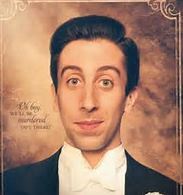 And Simon Helberg as her hilariously wide-eyed accompanist Cosmo McMoon. And yes, based on real people, these characters are bearing all their real-life compatriots real names. It could happen. Especially if they want to award Streep, but feel Emma Stone’s performance in “La La Land” is just too lovely to resist, so they award her worthy male co-stars. The other categories, I’m afraid to say, look all far too predictable. Natalie Portman will win Best Actress Drama for her superb performance in “Jackie . 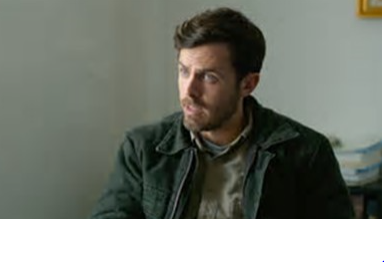 “Casey Affleck will continue his march forward to the Dolby for his grief-stricken alcoholic janitor in “Manchester by the Sea.” And Viola Davis, who is entered as Supporting Actress here by the Globes, will once again win again and give a rousing, tearful speech. For the rest, you only have to wait until Sunday night on NBC for the results. I MAY try to live-blog it again, you my dear readers, dear cineastes seem to love it when I do it, so here we go again. The busiest season of them all Awards Season has more than begun!